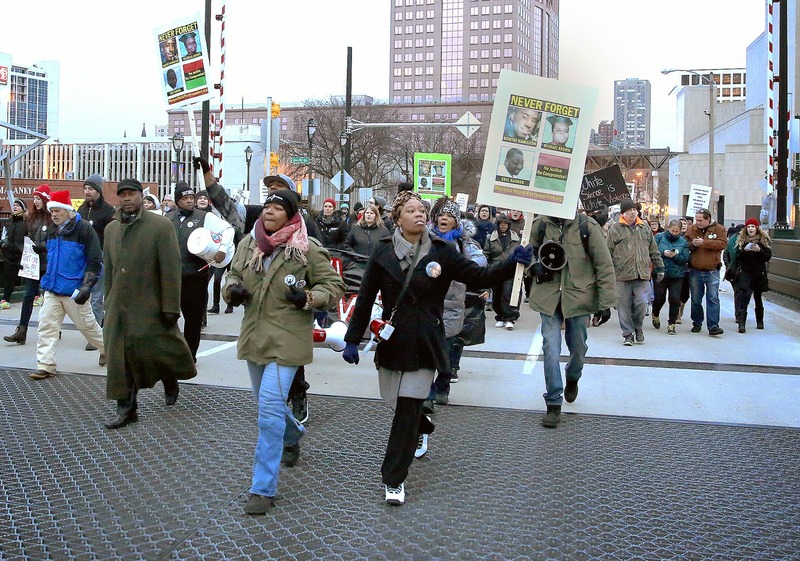 Mothers for Justice United was founded by Maria Hamilton of Milwaukee, Wisconsin, after her son Dontre was murdered by Milwaukee Police Officer Christopher Manney on April 30, 2014. Dontre, who had been diagnosed with paranoid schizophrenia two years before, had been resting in a downtown park on that mild spring afternoon. Employees of a nearby Starbucks called the police repeatedly with concerns about Dontre, who was not bothering anyone. After a team of officers responded on two separate occasions and found no issue with Dontre, Officer Manney apparently re-classified the complaint and responded alone. Manney conducted an out-of-policy pat down (for which he was subsequently fired from the police force), and went on to beat Dontre severely with his baton. Dontre struggled for the baton which was being used to subdue him. Officer Manney then shot Dontre fourteen times, which resulted in Dontre's death. Maria determined to reach out to other bereaved mothers, in an effort to support each other and to advocate together for justice, and for a humane response and recognition from their fellow citizens. Thus began Mothers for Justice United. Maria's dream is to travel with the other mothers to Washington, D. C. on Mother's Day weekend--May 9 -10, 2015--to make their voices heard in the halls of government, to demand justice for their murdered children, and to put an end to the race-based policies of police and vigilante violence in minority communities.